Knowing what to say when you have to say it can be really nice especially when you’re customer support personnel interacting with a customer. Not only will this enhance your replies but it will also bring consistency into your job and make it seem a whole lot easier. 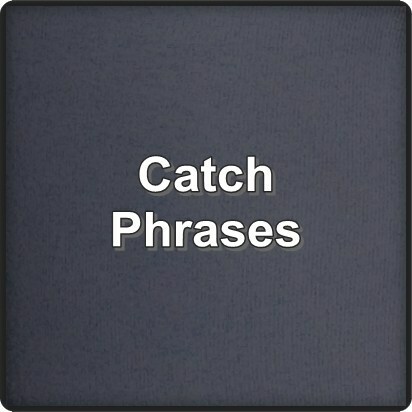 Below, we discuss some of these catchphrases that should be at your fingertips so you can deploy them right when the need arises. As a customer support personnel, I always end my messages with something like ‘do let me know if there is any lingering concern, I’ll be more than happy to help’. Somehow, I found this to be very good in the sense that it either ends the interaction after the customer has been satisfied or give room for any more help the client may need. Truth is there will be those times when customers would either make unrealistic demands or one you may not be able to help with at the moment. You’ll need to turn down those rejections but that should even be done very nicely. ‘As much as I’d like to help, your request is beyond what we are able to handle at the moment’ is far better than ‘NO! We can’t handle that request’. Catchphrases such as ‘nice to meet you’, ‘great to meet you’, may seem very short and simple but they wield a lot of power. Friendly tones of voice like these will go a long way in helping engage customers better. Not many people will detail their experience with a bug while using your system. So, when you find someone who does, you have to appreciate them. Thanks for bringing this to our attention or thanks for the heads up will go a long way to show you appreciate their effort and time in calling your attention to these important issues. This is more like the last phrase we just discussed. This can be of great help when a customer has made a demand that cannot be met at the moment. Phrases like these are a less stinging way of saying no. Today’s customers want to be heard and in charge. It makes much sense to allow them. Even when their demands are beyond what could be met at the moment, just reassuring them that their opinion counts and that they are being listened to can make so much difference. Let them that even though their demands may not be met right now, their message has been sent those in authority for consideration. ‘Thank you for banking with us’, ‘thank you for choosing ………..’, those words never get outdated. Customer support professionals are in a good position to appreciate customers for choosing the company. This may seem all too simple but it thus helps to foster the business-customer relationship. These words are not magical but they’ll no doubt improve your communication and interaction with customers. They’ll help you convey your words in a consistently delightful manner in a way that will help your customer support efforts yield better results. ONE Contact Center offers 24/7 customer support services to companies as well as to small businesses. We have a team of professional agents who are already trained for this task. We can increase the level of customer service and improving your customer satisfaction while helping you save 40% of your current operating cost. In fact, our average customer satisfaction ratings (CSAT) exceed 95%. 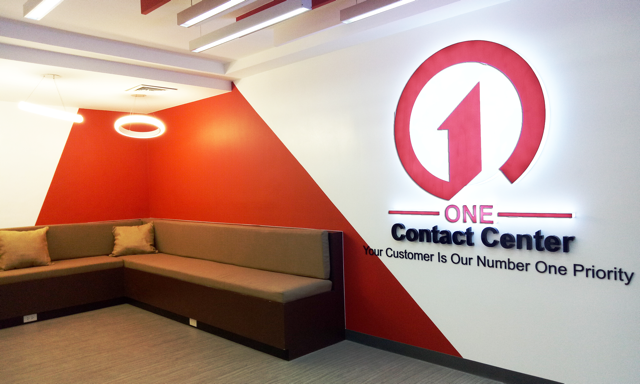 Contact ONE Contact Center today!